If you are a man with moderate symptoms or want to take preventative steps, this may be enough for you. 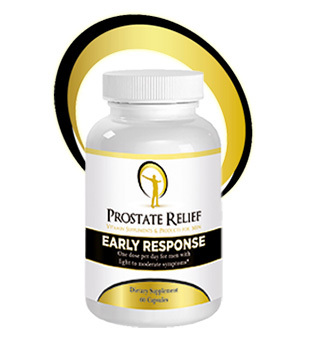 EARLY RESPONSE will do everything the most powerful prostate supplements on the market will do – AND MORE! EARLY RESPONSE targets not only the prostate, but the bladder and colon too. You will see an amazing difference in just one week. Men who have had success with other prostate supplements but would like to try a more comprehensive approach to avoid future problems and to see if their symptoms can improve even more. EARLY RESPONSE, like all our formulas, targets the TRILOGY organs and not just the prostate. You must have a healthy bladder and colon to have a healthy prostate.